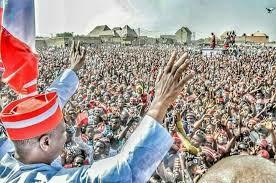 Kwankwaso, Secondus say it’s all over for APC as Atiku ‘shuts down’ Kano – Royal Times of Nigeria. The national chairman of the Peoples Democratic Party (PDP), Uche Secondus, and a serving senator, Rabiu Kwankwaso, say it is over for President Muhammadu Buhari and the ruling All Progressives Congress (APC). 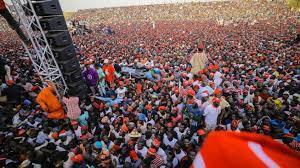 This followed the massive reception that Atiku Abubakar, the party’s presidential candidate, received on Sunday in Kano, known as a stronghold of the APC. Buhari secured 1.9 million votes, his highest, in Kano in the 2015 when Rabiu Kwankwaso was the governor. But Kwankwaso, who led Atiku’s team into the ancient city on Sunday, declared that it is all over for the APC. He said the mammoth had sent a message to Aso Rock that PDP has taken over Kano. In his speech, Atiku thanked the people for their support, promising to transform the country if elected next week. He appealed to the crowd to vote for all PDP candidates in the election. Atiku said Kano is the commercial nerve of the north but has been experiencing backwardness under the APC government. He promised that his priorities would be the revitalization of agriculture, industries and commercial activities so as to boost the economy which he said has been killed by the APC government.